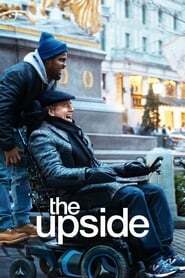 The Upside is a 2019 Comedy Drama movie directed by . It stars Kevin Hart, Bryan Cranston, Nicole Kidman, among others. The Upside is currently rated 7.4 stars on the ReelBugs scale. Unnecesary remake of an Amazing movie like Untouchable. How can you remake a movie that won 7 international awards??? It's not a matter of the movie, it's a matter of characters. Omar Sy had such charisma in him that nobody can even beat it. The original French version was better. It's called The Intouchables, people. Also... whaaaat is going on with creativity in Hollywood? Make your own original films!!! The French version with English subtitles wasn't good enough, eh? Americans. really unnecessary to remake "Les Intouchables" (I did not see any credits or mention of the original movie either when its a blatant copy) its kind of an insult to the original French movie, which was amazing. They seem to have literally copied the original scenes but lost authenticity when they tried to turn it into an American story. even watching both trailers you can see this Hollywood version is not on the same level and does not invoke the same emotions. although these are top American actors. the French ones just came across as more authentic and fitted their roles perfectly. It should be illegal to make a remake of such incredible movie like Intouchables.. I've already seen this movie in French. This is just sad to watch..watch the intouchables..which is the original movie..not this crap..hollywood it's time to stop!!! Dont understand why someone did that..... Untouchables is the best movie for last ten years. This is a crap. Why Americans always remake good foreign movies???!! Watching a movie in a foreign language (with subtitles) is that hard??! It makes me so mad. Seriously, no wonder why people think America is so self-centered. Good for you Kevin!. Everyone has a right to expand their acting chops. The heck with these people. A remake with Kevin Hart will never replace the original "intouchables" Canne Festival Winner. The editor made this look like a Hallmark movie. It's a remake of the untouchable movie with Omar Sy, based on the true story of Philippe Pozzo di Borgo and Abdel Sellou. Untouchable is a beautiful movie there was no need to remake.